Masks are not only used to conceal a person's identity. They also add to the scare value of horror movies and at the same time establish the wearer's identity with a strong visual approach. 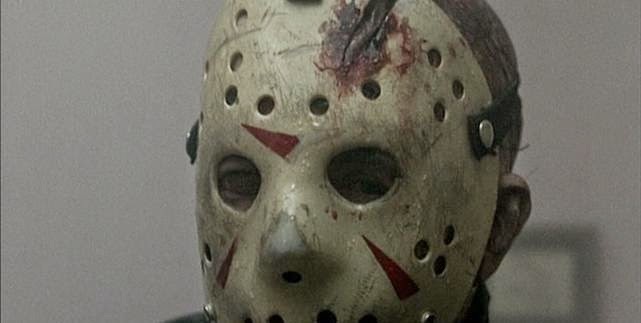 In horror films, the ice hockey mask is forever identified with Jason Voorhees of the Friday The 13th series while Halloween's Michael Myers has his white-colored mask. And then there's Leatherface from the Texas Chainsaw Massacre films. If you love horror movie masks then this video from Watchmojo is for you. Oh yes, Jason and the Friday the 13th franchise made it but to find out how high or low, just watch the video and enjoy. Extra: To find out more about the origins of the hockey mask used in the films, please read one of the very first stories posted on out website about the Jacque Plante mask.